These pictures are courtesy of many Macondistas. ¡Gracias! 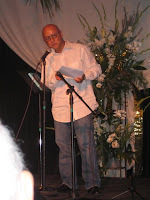 *The Macondo Writing Workhop was celebrated from July 29 to August 5 in San Antonio, Texas. 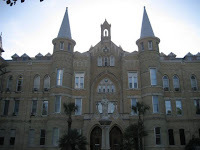 *Most of the Macondistas stayed at the Our Lady of the Lake University dorms. *Our famosas workshop teachers were Joy Harjo and Dorothy Allison. Alex Espinoza and Jackie Cuevas. *We had great seminars throught the week. Just check the titles and presenters. -Borderlands With in Us by Dr. Marga Speicher. -Creating Real Life Characters- Yourself and Others by Gregg Barrios. -The Political Essay by Norma Alarcon and Macarena Hernandez. 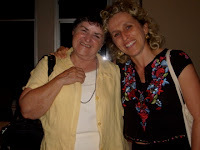 *Our invited literary agent was the talented Stefanie Von Borstel from Full Circle Literary. *Natalia Treviño organized the Bexar County Juvenile Detention Center visit. 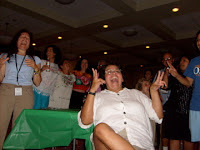 *Noche de Macondo at Esperanza Peace and Justice Center was a blast. 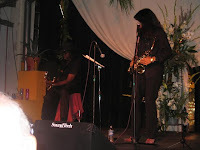 Joy Harjo gave us a great concert. 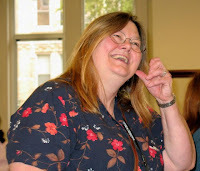 *Jump-Start Theatre featured Dorothy Allison. Two or Three Things I know For Sure are that Dorothy is great, great and great. *Lucha Corpi and Dr. Amalia Mesa-Bains received the Gloria Anzaldua’s Milagro Award. *The yoga teacher was our Macondista Michelle Otero. *The readings at Macondo BBQ were amazing and unpredictable. *The talented children's Book Author Amada Irma Pérez read at the San Antonio Public Library. 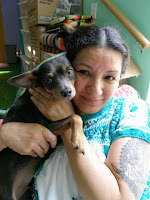 *And as always Sandra Cisneros was our angel, amiga, consejera and la mera mera. Sandra all the Macondistas love you! The Macondo Writing Workshop is a unique summer gathering for writers working on geographic, cultural, social and spiritual borders. Founded in 1995 by writer Sandra Cisneros and named after the sleepy town in Gabriel García Marquez's One Hundred Years of Solitude, the week-long workshop transforms San Antonio, Texas — and more broadly, La Frontera — into a space of intense artistic and cultural creativity. 3. studied under at least three professional writers. An essential aspect of the Macondo ethic is a global sense of community; workshop members should, in addition to being already established and capable of participating in a master's-level class, recognize their place as writers in our society and the world. A second element of the Macondo ethic is a spirit of generosity. In the spirit of Sandra Cisneros, who volunteers valuable writing time for the nourishment of other writers. Monetary contributions are accepted from those with better means to assist workshop participants who cannot fund their own airfare and lodging. In addition, workshop members are expected to review each other's work with rigor and vision. Time is viewed as a gift equal to that of money, so time given is as valuable as cash! The workshop is divided into three mixed-genre groups, each of them headed by an accomplished writer or team of writers. After attending one year, participants are allowed to enroll in Sandra Cisneros' class. Mornings are spent individually reading each other's work, afternoons consist of "workshopping" by groups, and evenings are spent discussing various artistic, political and spiritual issues related to writing.